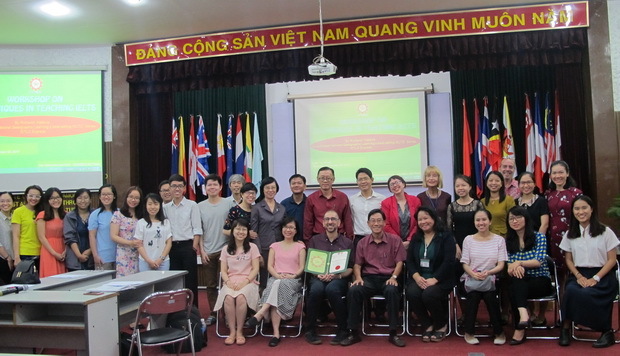 As a center dedicated to improving language teaching methodologies in Vietnam and the region, we host international trainings to bring global best practices to Vietnamese teachers. On November 30, 2017, SEAMEO RETRAC organized a workshop on “Techniques in Teaching IETLS” for 35 English Teachers at the Center’s premises. The workshop was conducted by Mr. Richard Hallows – co-author of National Geographic Learning’s best-selling IELTS series, “IELTS Express”. 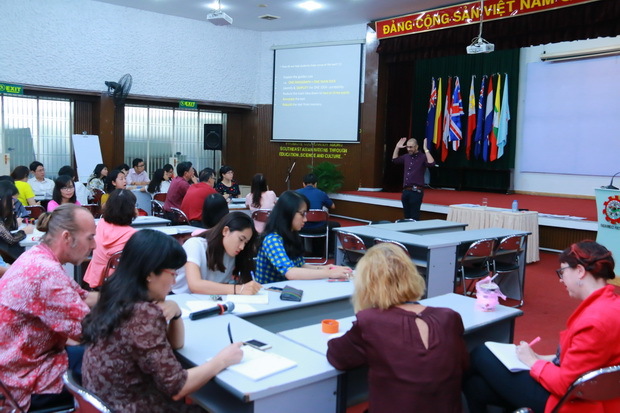 The workshop demonstrated realistic approaches, strategies, and techniques which teachers can teach, and students can use to deal with challenging readings presented on the IELTS Exam. We hope that our teachers’ updated skills can enhance their students’ outcomes and our professional development.